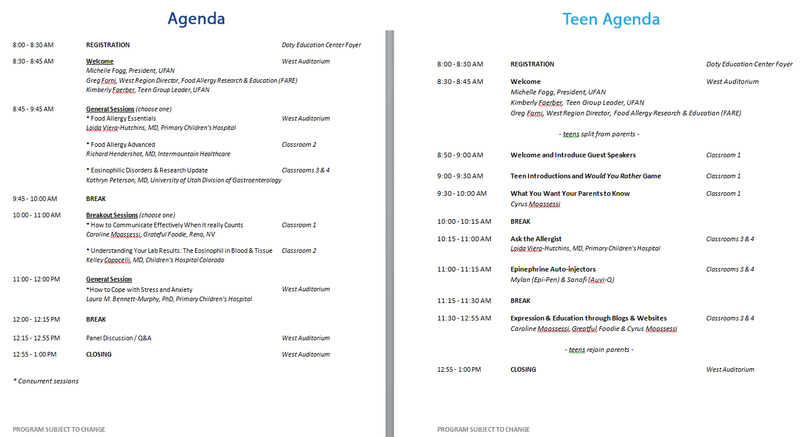 Conference Agenda & Speakers – Register Today! We are excited to announce the stellar line-up for the 5th annual Utah Food Allergy Conference on Saturday, June 27, 2015 in the Doty Family Education Center at Intermountain Medical Center in Murray, Utah. Check out these amazing sessions and speakers that are sure to provide an invaluable educational experience while you network with others and visit our exhibitor hall, packed with resources and free samples/coupons! 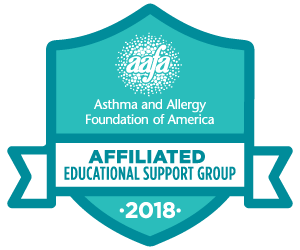 Three tracks are provided for food allergy, eosinophilic disorders, and teens (bring your siblings & friends ages 11-17)…you’ll have access to the most recent recommendations and research from experts in the field. We also have a practitioner track featuring eosinophilic disorders and pathology of EGID (email mfogg@utahfoodallergy.org for details). ← Candy-free Easter Hunt a Huge Hit!